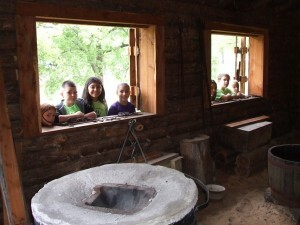 The Village is open April through September, Thursday through Saturday, from 11 a.m. to 3 p.m.
You can contact the Fort Inglish Society by calling 903-583-3943. 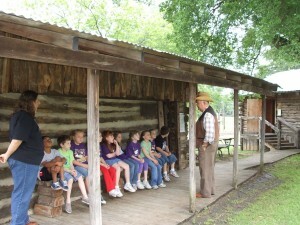 Sam Rayburn House Museum at 903-583-5558. 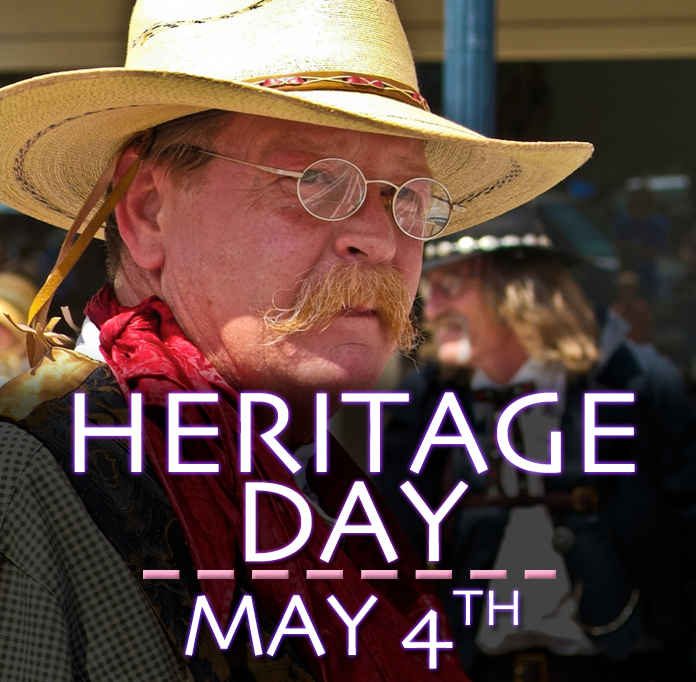 Bailey Inglish, founder of Bonham, brought the first settlers to claim homesteads on the rich black land of the Red River Valley in the central part of what was to become Fannin county, in March 1837. 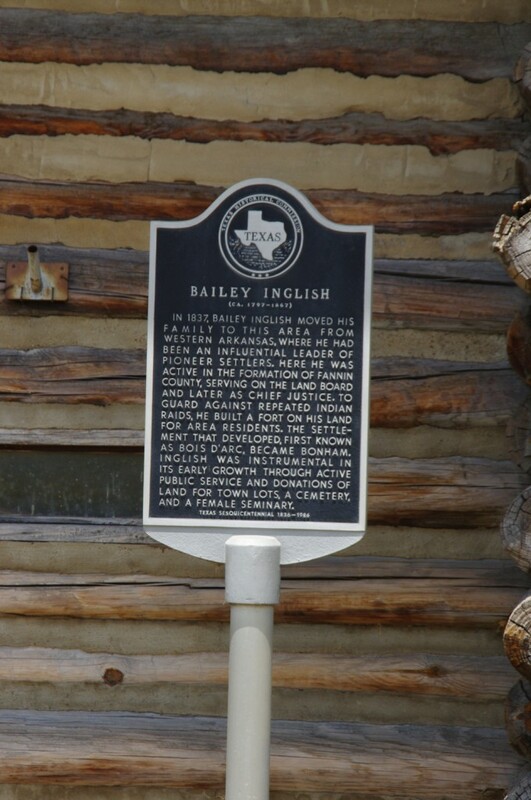 As the danger of Indian raids began to increase, Bailey Inglish convinced his neighbors to construct a fort and stockade to provide a safe haven for the families of the area. 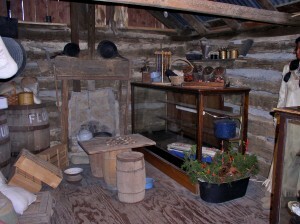 Fort Inglish was used until 1843 when the Indians moved further west. 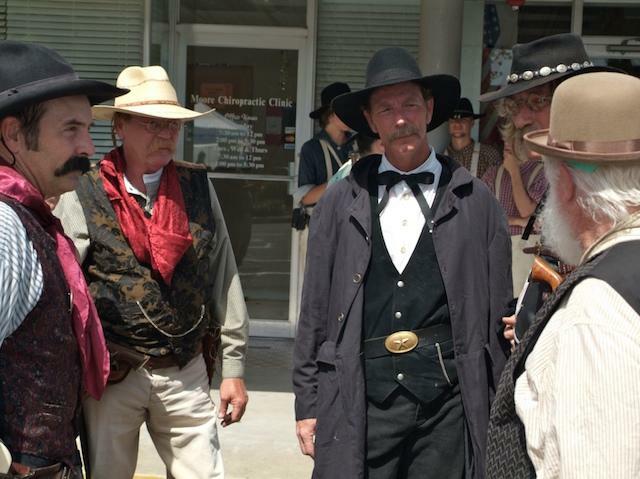 This replica was built in 1976, as a Fannin County Bicentennial project. 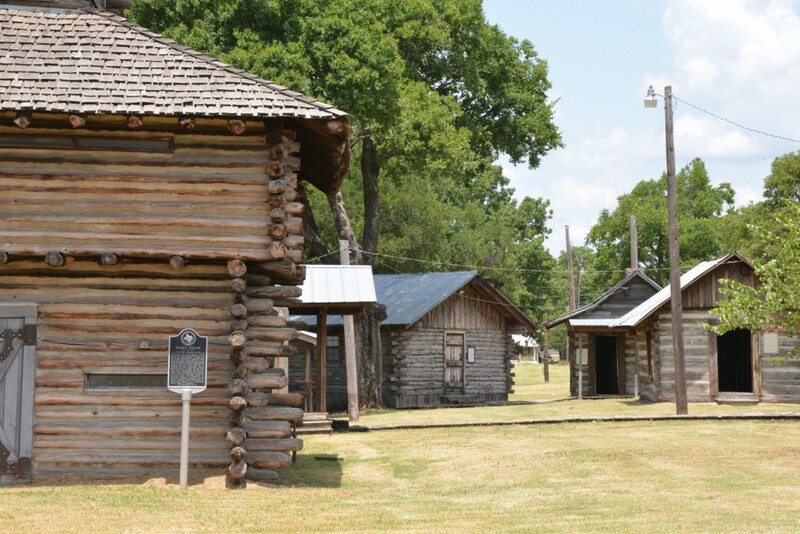 Three 1830’s log cabins from the Fannin County area were relocated surrounding the stockade. 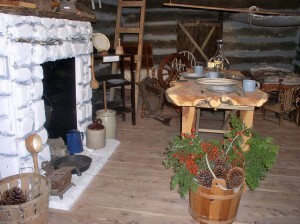 They have been furnished to represent a frontier cabin, a trading post, and a blacksmith shop. A school/church a gift shop are recent additions. A doctor’s buggy and military wagon have been restored and are on display in the stockade area.